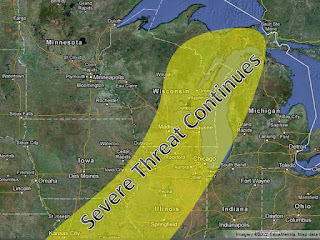 A severe weather outbreak should get going in the next few hours. 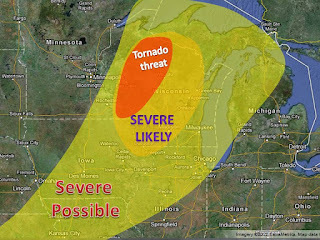 Conditions are highly favorable for large tornados (see map) and damaging winds, with a smaller hail threat. 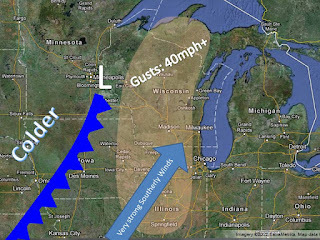 The orange outline shows the highest risk of severe weather, especially damaging winds. 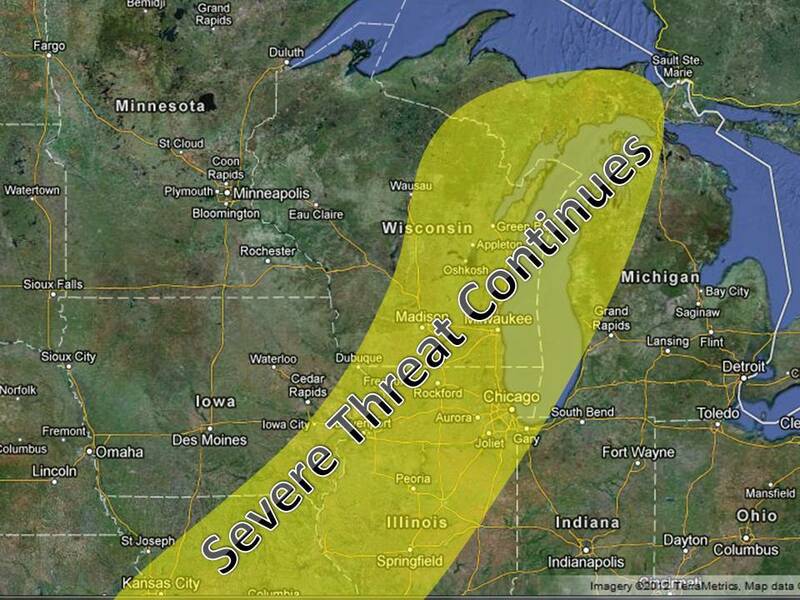 The tornado outline shows the highest probability of a tornado, the damaging wind threat is also prevalent here.